Keith Haring's kinetic murals grace the handball courts, parks, hospitals, and interstitial public spaces of New York. Now, one of the artist's least-known, best-hidden pieces could be destroyed. 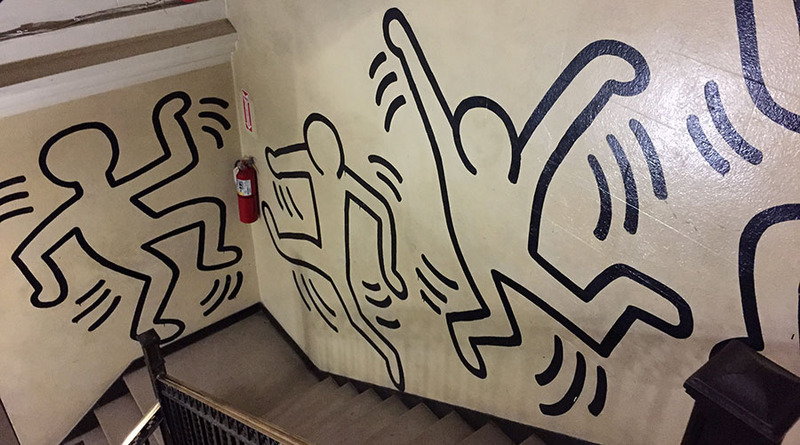 In the early 1980s, Haring painted a mural along two flights of stairs at the Grace House, a Catholic youth organization in Morningside Heights. 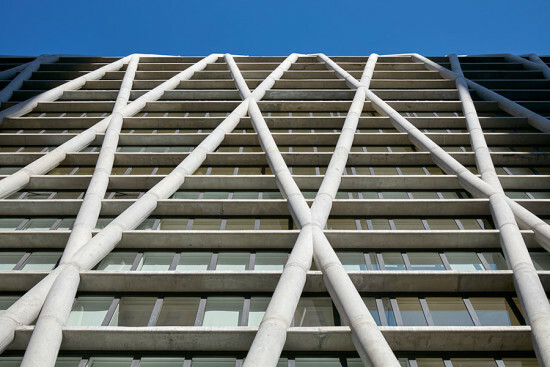 The youth organization has folded, and in 2009 the Roman Catholic Church of the Ascension took over the five-story building on West 108th Street, between Broadway and Amsterdam Avenue. The church has been renting studios with shared bathrooms and kitchens to 16 mostly SRO-dwelling tenants. Now, though, the church is exploring other options to remain financially solvent, and may be looking to sell the building to a developer, DNAinfo reports. Most tenants moved out on August 1, and the mural's future is uncertain. Tenants, mostly artists and students, describe the mural lovingly and doubt that a developer could be bothered to save it. Haring completed the piece, which begins in the lobby with one of his signature vibrating babies, in 1983 or 1984 along with 50 children from the organization. As recent preservation battles in New York, Cincinnati, and Detroit illustrate, saving a non-landmarked mural is an uphill battle. Fortunately, the work is on the radar of the Keith Haring Foundation, the official stewards of Haring's legacy. Haring's pieces explored themes of sexuality, bodies, and AIDS in vivacious, earnest pieces that were commissioned worldwide. 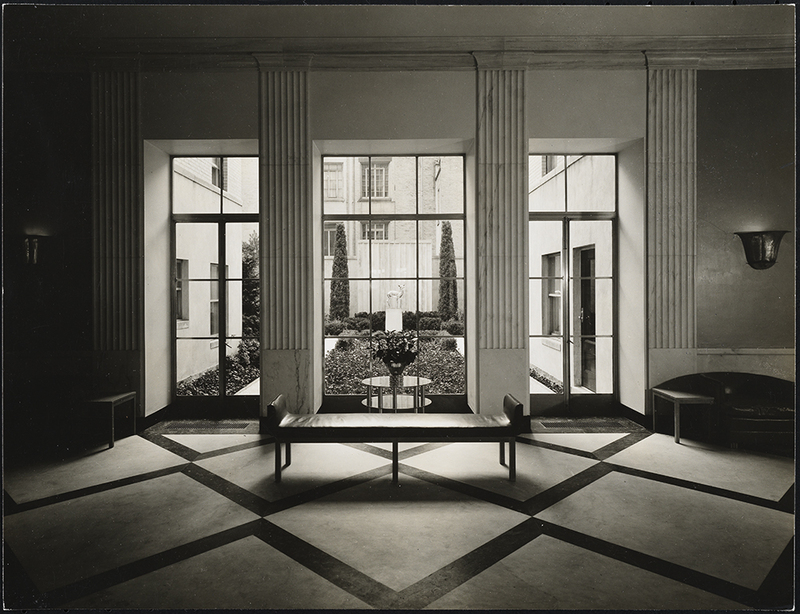 The foundation maintains a map and a catalogue of his work, which can be accessed here.